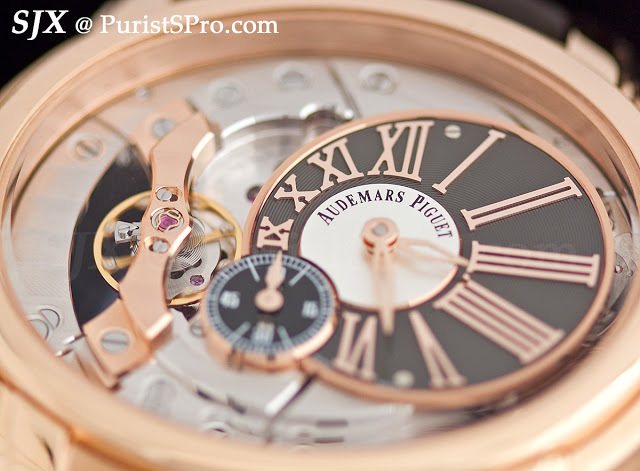 Beginning several years ago Audemars Piguet began to modernise the Millenary, the perennial runner-up to the Royal Oak. 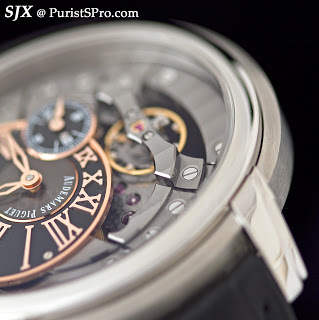 But the results of these attempts were extremely high-end complicated watches with six figure prices while the more accessibly priced Millennary watches remained fairly traditional. 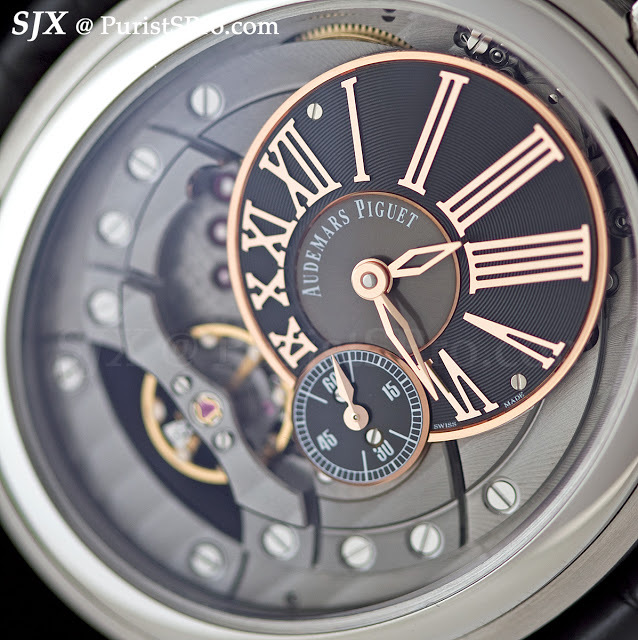 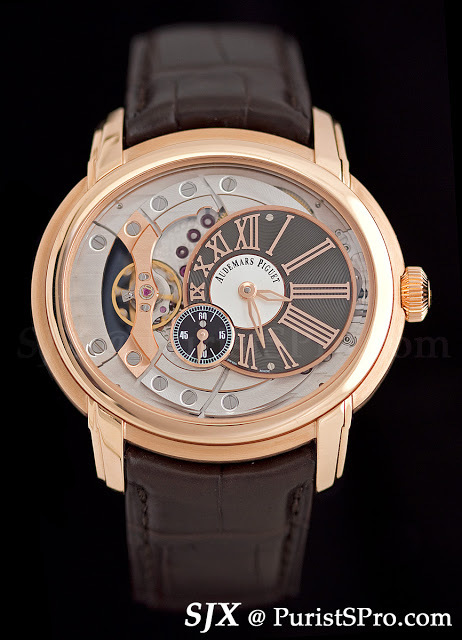 This changed at SIHH 2011 when AP unveiled the Millenary 4101, a radical looking watch that surprisingly enough is entirely traditional mechanically. 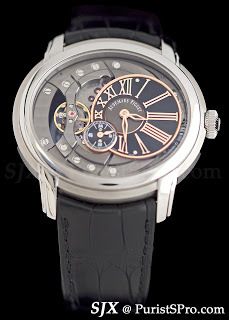 I have had the pleasure of wearing a prototype of the steel Millenary 4101 for several days, thanks to the CEO of AP Asia, and I am thoroughly enamoured by it. 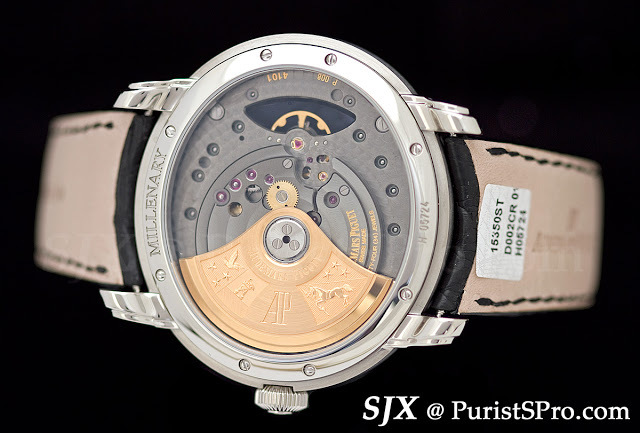 The Millennary 4101 is entirely about aesthetic, rather than technical, innovation. 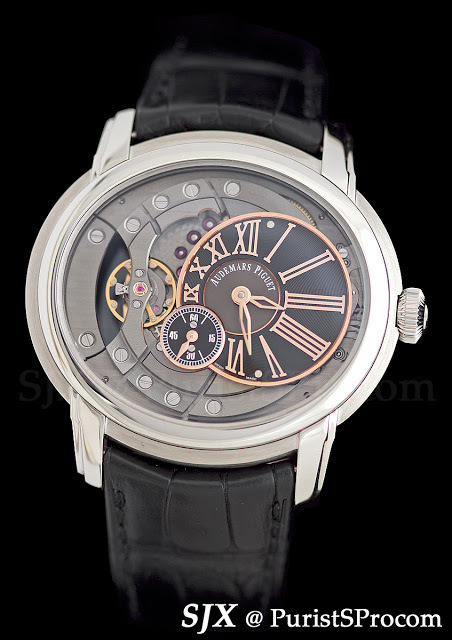 Despite its looks the movement is an entirely ordinary, albeit very well finished, automatic calibre with lever escapement. 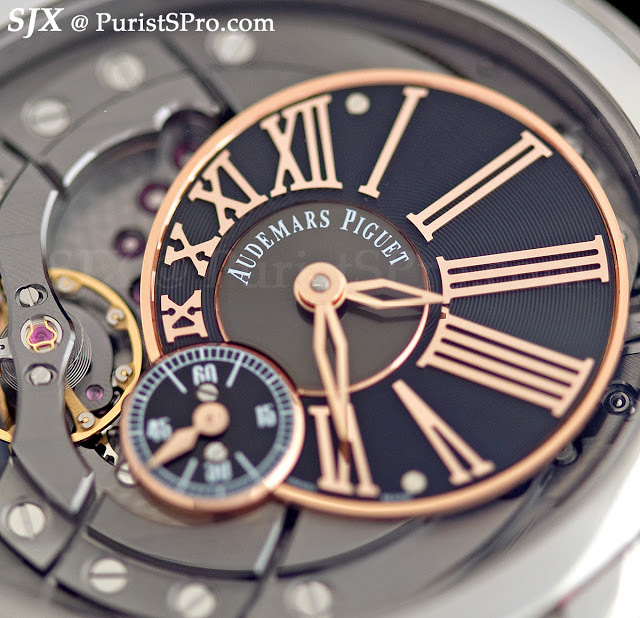 The layout and construction of the movement has been dramatised to great effect. 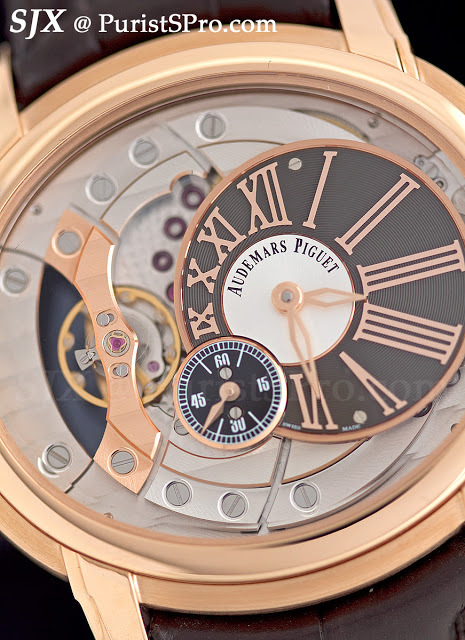 At nine o’clock the balance wheel is exposed, held by a full bridge over an aperture in the base plate, leaving a hole in the face of the watch as it were. 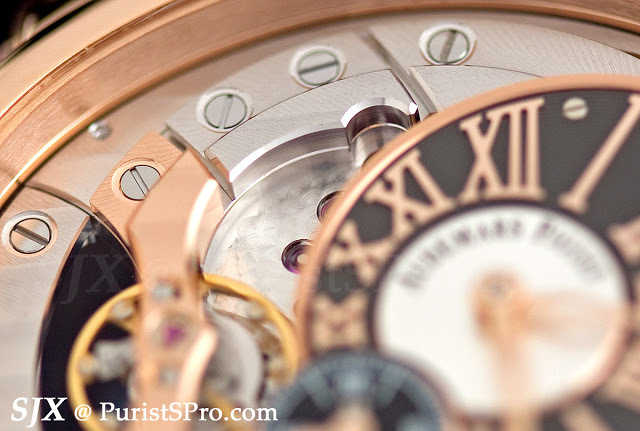 The other striking visual element of the watch are the screws, positioned symmetrically in two arcs across the top and bottom of the front.